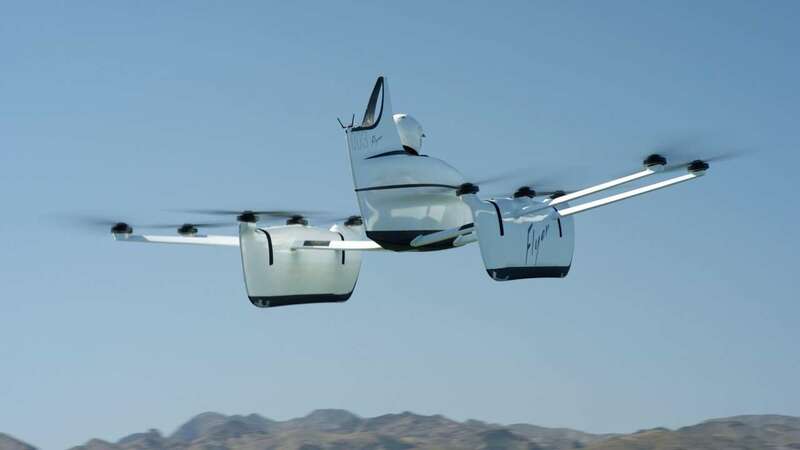 A flying car project backed by Google co-founder Larry Page was closer to take-off on Wednesday, with a model for test flights by aspiring buyers. Kitty Hawk, funded by Page, unveiled a "Flyer" model it described as "an exciting first step to sharing the freedom of flight." The company was created last year in Google's hometown of Mountain View, California, and has been testing a prototype in New Zealand. Kitty Hawk chief executive Sebastian Thrun, who founded the Google X lab devoted to "moonshots" such as self-driving cars and Internet-synched eyewear, was quoted by CNN as saying piloting Flyer was as easy playing the video game "Minecraft." "Making Flyer accessible, which is what we do at our Lake Las Vegas training facility, helps more people experience the freedom and possibilities of vehicles of the future," a Kitty Hawk spokeswoman told AFP. "Our immediate priority is to invite small groups of people -- customers, influencers, media and community members - to experience the freedom of flight here in our newly opened training facility." People interested in buying Flyers were invited at the website to apply for an invitation to do so, with no price specified. An early version of Flyer was shown off last year. The electric aircraft had 10 small lift rotors on its wings, making it capable of vertical take-off and landing like a helicopter. Kitty Hawk said that at 15 meters (50 feet) away, it sounded about as loud as a lawn mower, while from 250 feet away the volume was on par with a loud conversation. Test flights by first-timers were over water, with the top speed limited to 32 kilometres per hour (20 mph) and the altitude to no more than three meters. The uncovered cockpit appeared big enough for one person, with their head poking out as it might from a go-kart. "Flyer is designed to be easy to fly and flown for recreational purposes over water and uncongested areas," the website said. "Flyer is Kitty Hawk's first personal flying vehicle and the first step to make flying part of everyday life." The new flying machine is one of several concept vehicles being testing, with Uber and others in the mix. Page and Sergey Brin founded Google in 1998, starting out in a Silicon Valley garage and transforming into one of the world's largest companies.